When it comes to problems with your house, subsidence is high up on the list of things you really don’t want happening. But what is it and what should you do if you discover it? Subsidence is when part or parts of the ground under your home start to sink. It’s a major issue because it disrupts the foundations of your house, putting its structure at risk and with it, its value and your safety. There are a number of reasons why subsidence can happen. The underlying geology plays a part; a clay-rich soil will dry out more in hot weather, causing it to shrink beneath the foundations of your home. Conversely, a leaking water main could wash soil away from under the house, or make it softer so that it sinks under the weight of the building. Mining activity can also cause subsidence, as can tree roots. Older properties can be more prone to subsidence because their foundations often aren’t as deep. The telltale sign that your home may have a subsidence problem is cracks in the wall, though these can appear for other reasons. If it’s subsidence, it will be a thick, diagonal crack (3mm or more) that you can see from the outside as well as the inside. These tend to be wider at the top than the bottom, and they’re usually found by windows and doors, or at the point at which an extension has been added to your house. You might also notice that you have problems opening or closing windows and doors; this is because subsidence has twisted the frames out of alignment. If you think you may have a subsidence problem, the first thing to do is to speak your local insurance expert. 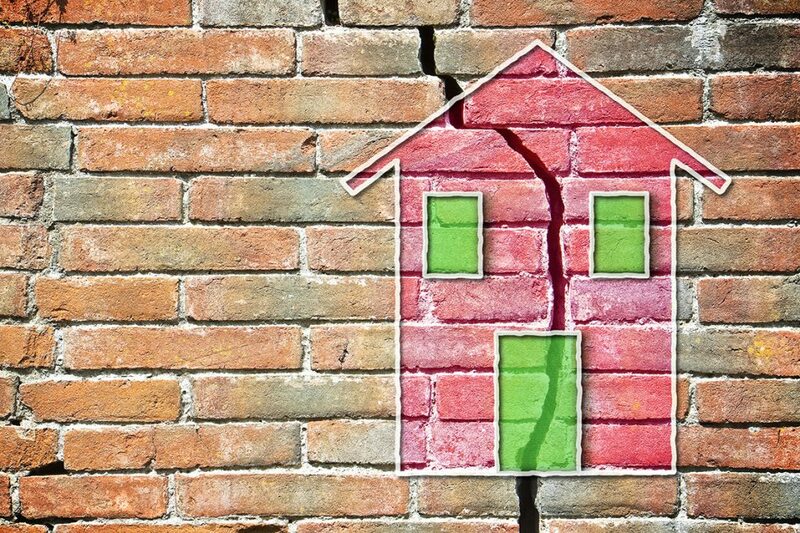 Your home will need a structural survey to assess whether it’s definitely affected by subsidence, and if so what’s causing it and the level of damage to your property. Subsidence can be monitored and its cause can sometimes be removed, if it’s found to be something relatively straightforward such as tree roots or a leaking water main. In severe cases your home may need to have remedial work, and as you’d imagine, it’s a big job: the foundations of your home may need to be underpinned to stop further subsidence. You’ll need to talk to your insurer about whether your buildings insurance covers this work, as your policy may have excluded some causes of subsidence. It’s not always straightforward to insure a house that’s previously been affected by subsidence, and you’ll find hefty terms and conditions attached to your insurance policy. Some insurers may even refuse to cover it altogether. If you’re thinking of buying a house and the survey has unearthed that it’s previously had a subsidence problem, speak to our local insurance experts about subsidence insurance. You can also find out more about subsidence over at the HomeOwners Alliance. ← What is the impact of the apprenticeship levy?